A new month with new possibilities. 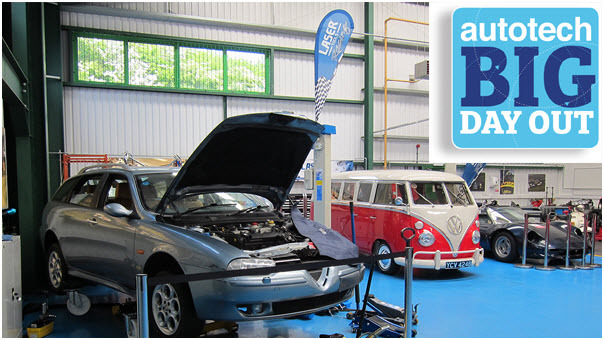 This month our resident Automotive Specialist Steve Smith brings you a brand new Guided Test. Covering parasitic battery drain, Steve discusses both how to complete the test and how to analyze your results. We are currently working hard preparing for our next big event, the huge international show Automechanika Frankfurt. 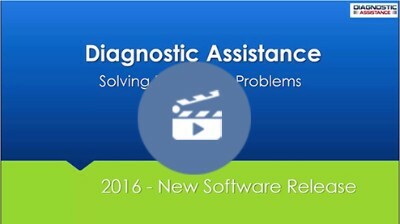 We also have a new product focus piece on our breakout leads kits, Frank Massey's third video from our Top ten tests series, and a video overview of the latest update (version 16) to Diagnostic Assistance from Auto-Solve. This month Steve Smith has put together a superb Guided Test on parasitic battery drain, using a current clamp. This Guided Test will be included in a future update of our PicoScope 6 Automotive software, but you can find the full test on our website right now. The purpose of this test is to evaluate the level of parasitic current draw from the battery during a vehicle's shutdown phase and sleep periods. Channel B: TA234 20/60 A current clamp (large jaw) @ ± 500 mA. Alternatively the TA018 20/60 A current clamp (small jaw) can be used. However, a 10 A fused jumper wire may be required if the battery cable diameter exceeds 8 mm). One of the most important items to check before carrying out this test is the status of the current clamp you wish to use. Pico and Frank Massey of ADS Limited bring you Frank's third test in his "Top ten tests with PicoScope" series. 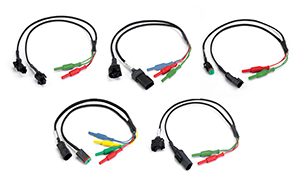 Phil Rutt gives a product focus piece on the must-have tool for diagnostic kits: breakout leads. Automechanika Frankfurt is the world's leading trade fair for the automotive service industry and is unique with regard to the breadth and depth of the product range on display. The fair is the shop window for innovations in the automotive aftermarket across the entire value chain. As an international meeting place for all market participants from the industry, dealership trade and maintenance and repair segments, it provides a major platform for business and technological knowledge transfer. This year, Pico Technology will be showing off the new 5 Steps to success training program, along with various product features. HT extension leads are simple accessories that allow you to take accurate secondary ignition measurements on COP ignition systems. They are designed to aid diagnostics on secondary ignition circuits by allowing an HT measurement to be made when there is no, or limited, access to any spark plug leads. 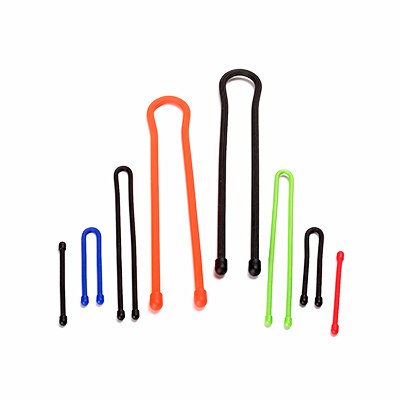 Gear Tie reusable rubber twist ties have a tough rubber shell that provides excellent grip, a strong wire inside that holds it shape, and a range of bright colour to catch your eye. At Pico we use these for a number of different applications, from hanging up diagnostics tools to tidying cables. The possibilities are endless. Buy it, Twist it, Tie it, Reuse it - Gear Ties. Our automotive Master kit has been designed to give our customers a way of buying everything they need in one hit. Although the amount of tools available to add to your toolbox is constantly expanding, this will provide you with the necessary equipment for comprehensive diagnostics. It consists of an upgraded and extended Advanced kit in a new, larger and tougher carry case along with our WPS500X Maxi kit in a separate case. The kit also includes our connector breakout lead kit B, the fuse extension lead kit, insulation piercing probes and an assorted pack of gear ties. The carry case also has foam cut-out locations for the PicoScope NVH Diagnostics kit. 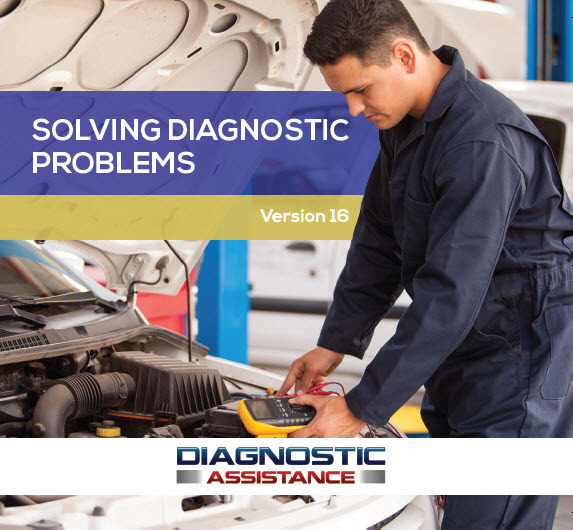 Thousands of garages, workshops, mobile technicians and colleges benefit from the use of Diagnostic Assistance, which is there to help improve the diagnostic processes and first-time fix rate. A quick 5 minute review of the latest version of this helpful software. Lots of info, comparative data and just-in-time-training. Guests will benefit from the vast technical know-how of James Dillon, Frank Massey, Pico’s Steve Smith and Andy Crook of GotBoost. The event will run between 10am and 4pm at Tool Connection in Warwickshire. It will bring independent technicians and workshop owners together, with trainers and the team at autotechnician magazine to share techniques and ideas in an informal setting. 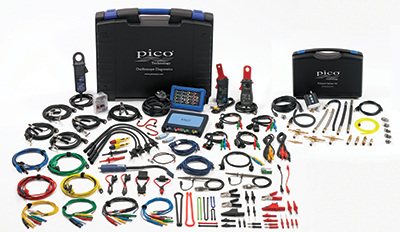 One lucky raffle winner will take home a PicoScope 2-Channel Starter kit. 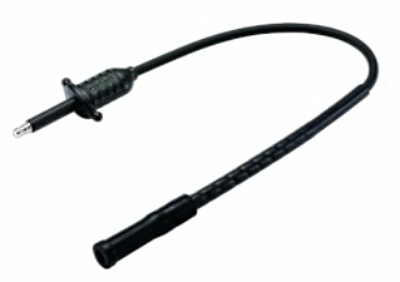 If they already have a PicoScope, the prize can be exchanged for a 2000 A current clamp with a flexible COP probe. Pico Technology will be represented by Hongke. Why not pay them a visit in Hall 3 at booth 6033? Our latest waveform library figures are in. The waveform library now features over 2550 waveforms!! These cover multiple vehicles, engines and fuel types. Have you uploaded your saved waveforms yet? For a list of Pico-endorsed trainers, please visit the UK, US or German trainers page.